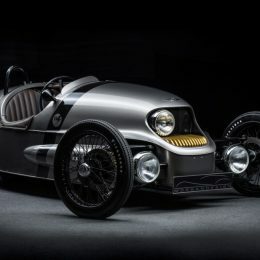 The EV3 extends Morgan’s truly unique offering. Industry-leading EV technology combines with a lightweight coach-built body to offer an unparalleled mix of craftsmanship and technology. 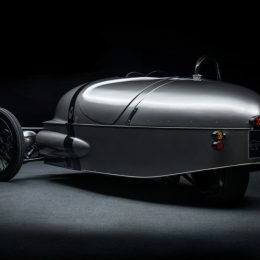 Inspired by 1930s Aero-engine race cars, classic motorcycles and 1950s fantasy automatons, the EV3 embraces new technology while delivering the raw driving experience and traditional British craftsmanship synonymous with every Morgan. First revealed in 2016, the head-turning EV3 signalled the British marque’s first production entrance into the world of all-electric propulsion, following the Plus E concept in 2012. Working with Frazer-Nash Energy Systems means that the EV3 will have greater performance with rapid charging technology, proven reliability, a lower centre of gravity and greater acceleration over and above what was previously expected. As a result of the partnership, the production EV3 will feature all-new, more robust architecture, greater levels of torque, a stiffer chassis and underslung battery beneath the skin. 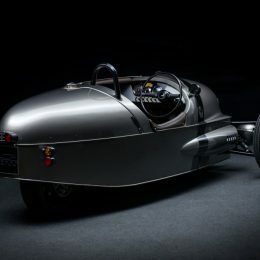 Encased within the tubular space frame chassis is a 21 KWh Lithium Battery and a liquid-cooled 34.8kW (41.8kW peak) FN A010229 motor driving the rear wheel. The EV3 will have a range of 120 miles and will provide occupants with a hands-on, exhilarating driving experience that has not previously been associated with electric vehicles. 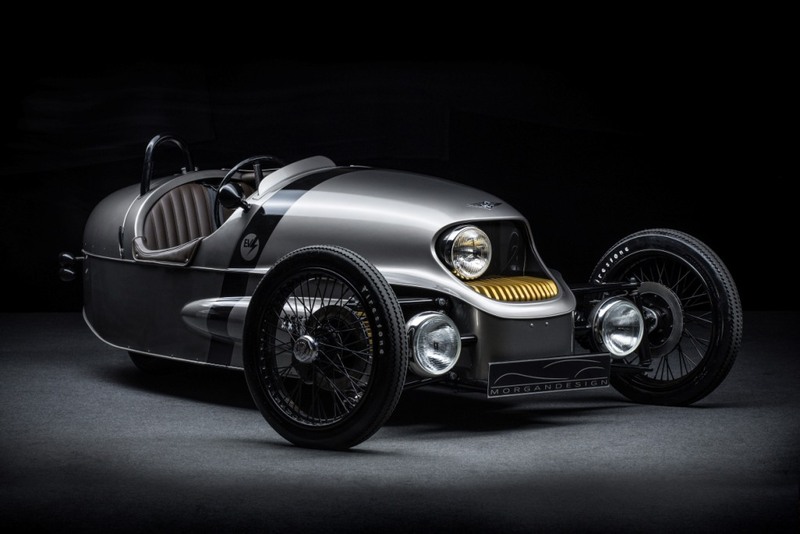 The production EV3 is anticipated to have comparable performance figures to its petrol sibling. Production will begin in Q3 of 2018 at Morgan’s Pickersleigh Road factory following the completion of the model’s rigorous test and development programme. 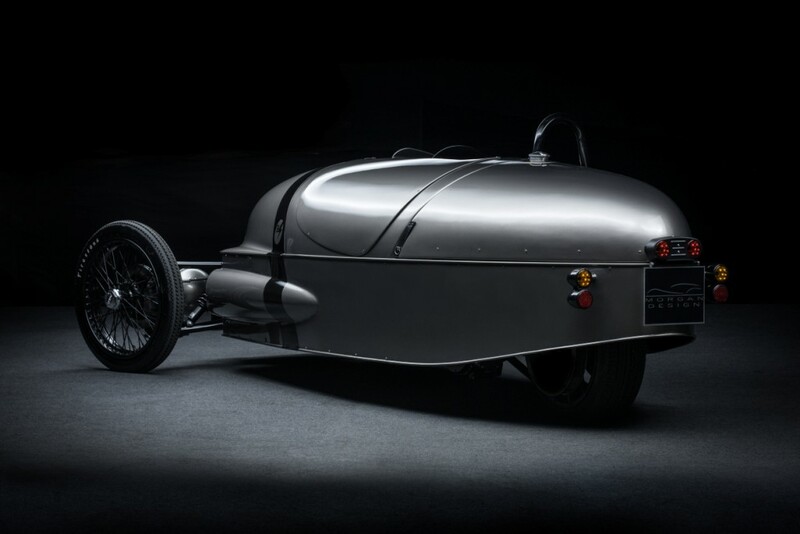 Steve Morris, Managing Director of Morgan Motor Company, said: “We are delighted to announce our technical partnership with Frazer-Nash Energy Systems as we enter this exciting phase of EV3 production. We have been working closely on optimizing the EV3’s architecture in every way to develop a car which will offer proven reliability range and cooling performance, combined with the pure driving experience that is expected of every hand-crafted Morgan. Noamaan Siddiqi , Business Development Director, Frazer-Nash Energy Systems said: “The EV3 plays an important role in Morgan’s future strategy. Achieving Zero Emissions using electrification is a requirement no manufacturer can afford to ignore. 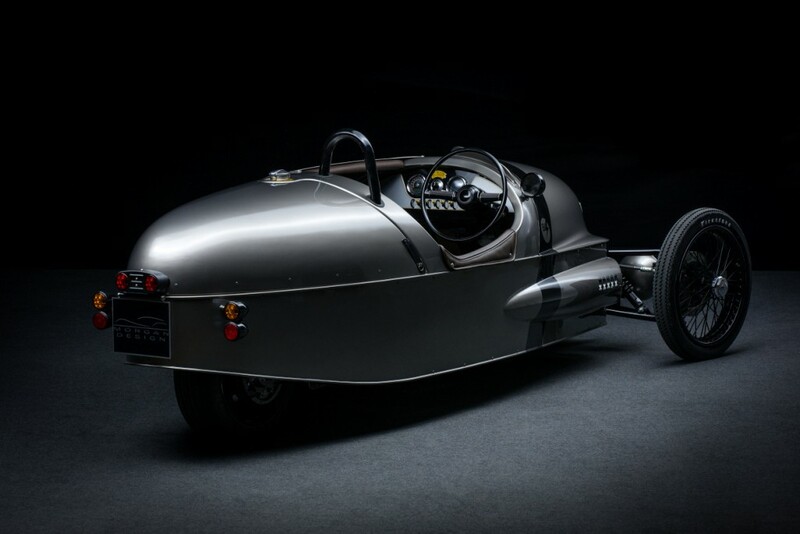 Morgan has always embraced the latest technology within its vehicles to ensure it can continue to build relevant hand-crafted British sports cars.